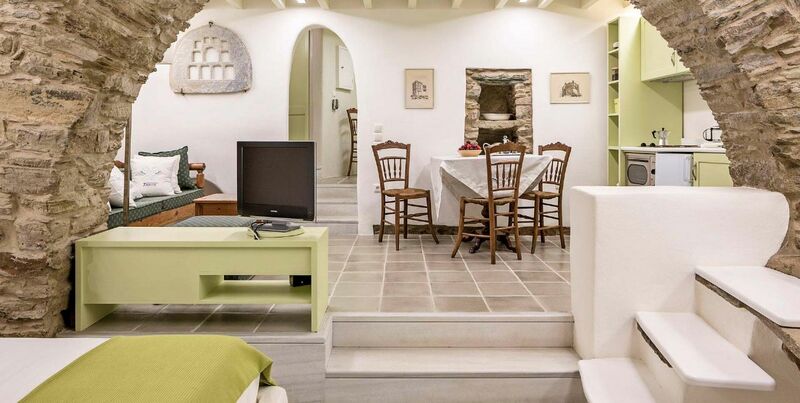 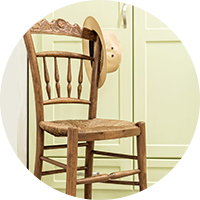 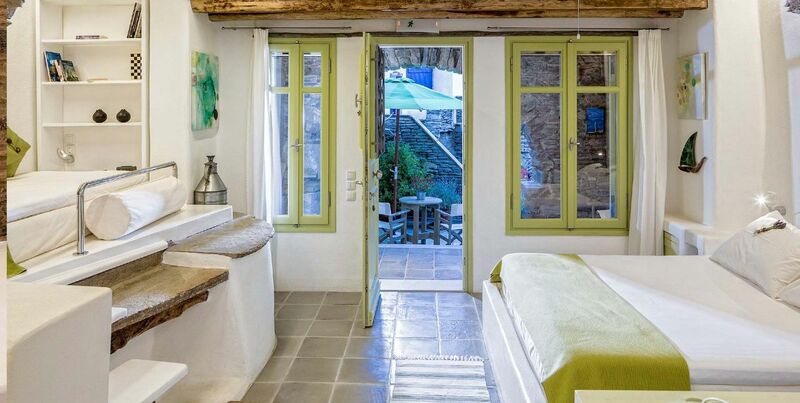 In the old days at Cyclades Islands, this particular type of accommodation used to be the cellar of the house where the family stored its food, olive oil, and wine. 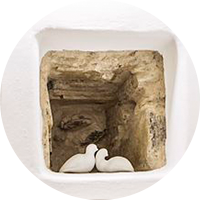 It was also there, in a circular, stone-built cistern, the grape press ("patitiri"), where family members would stomp their grape harvest to make wine. 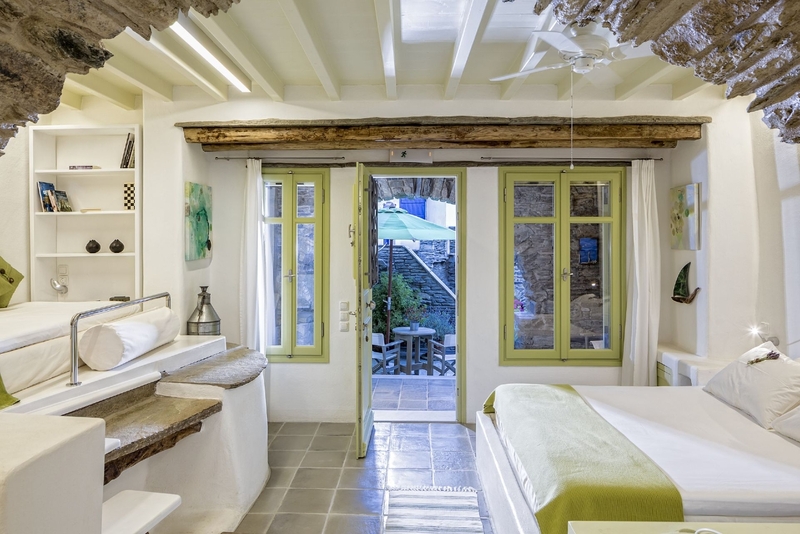 The building’s old stone grape press was retained; and when integrated to our countryside boutique hotel, it was converted with a number of handmade wooden structures into an elevated, single bed platform. 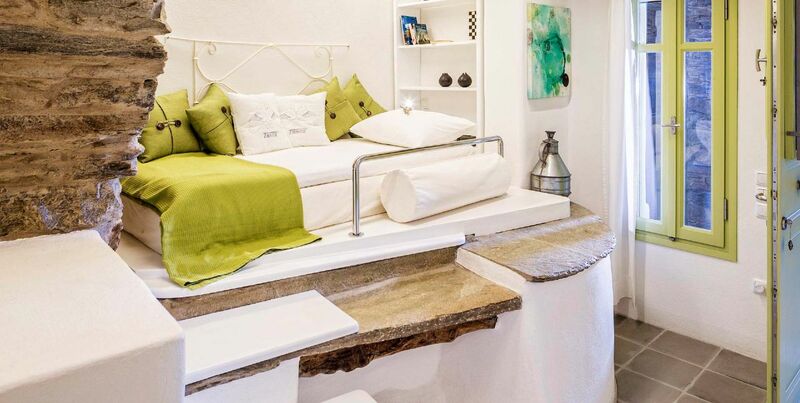 The Grape Press [Paleo Patitiri/Paleó Patitíri] (42 m2) is a traditional studio, which has a uniform space serving as a bedroom, with a built, double bed on one side and a built, single bed on the other. 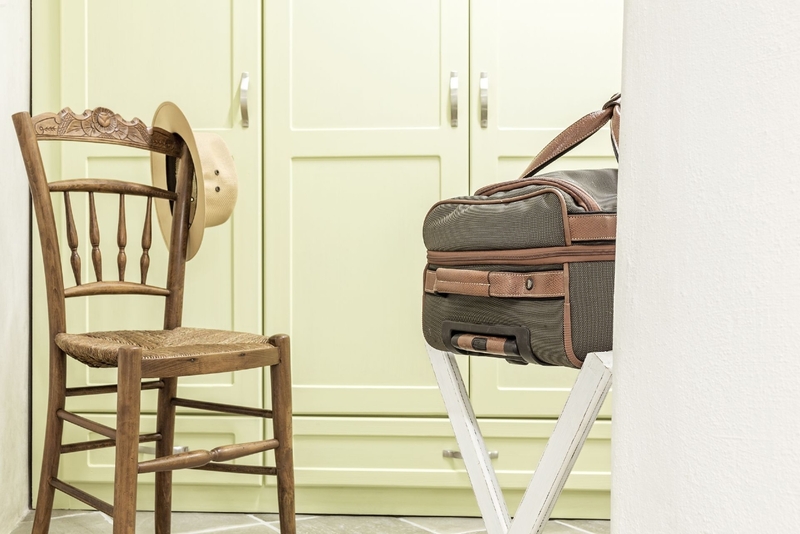 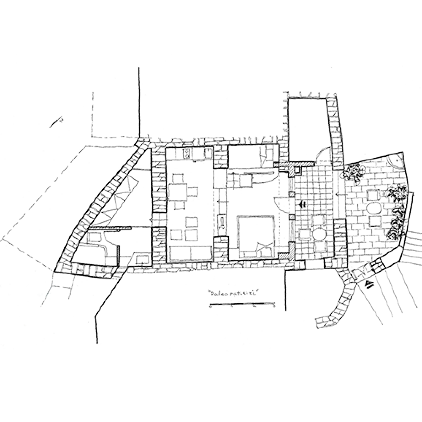 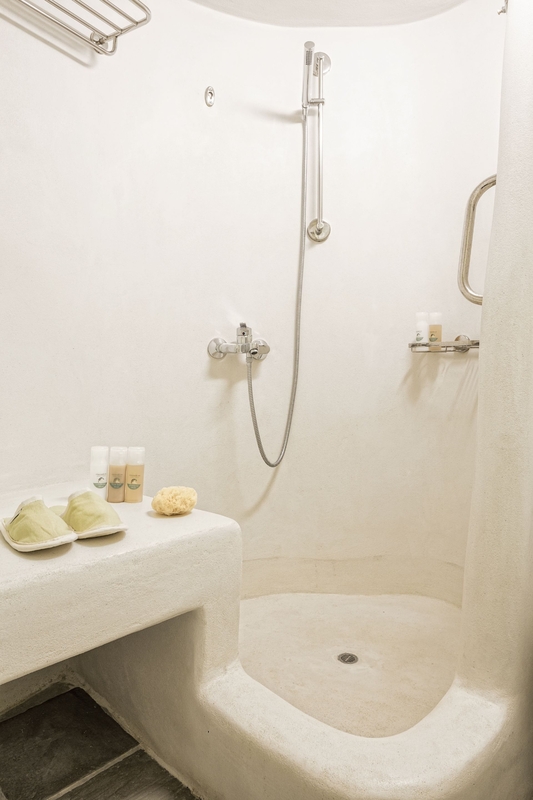 The same uniform space corresponds to a sitting-dining room arrangement, a fully-equipped kitchen, and a bathroom that includes a shower and the necessary accessories and toiletries. 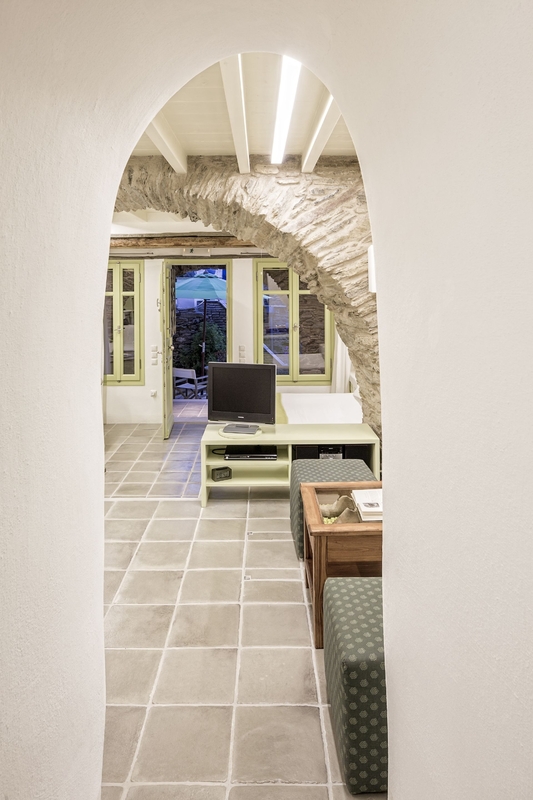 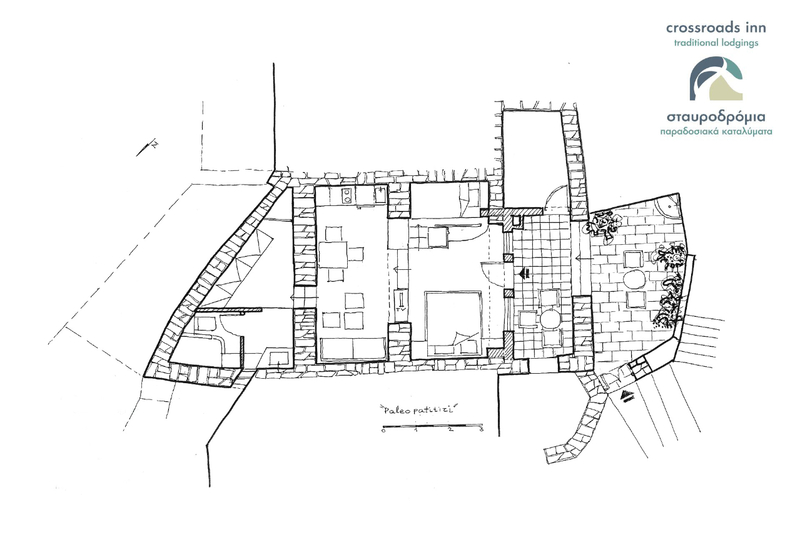 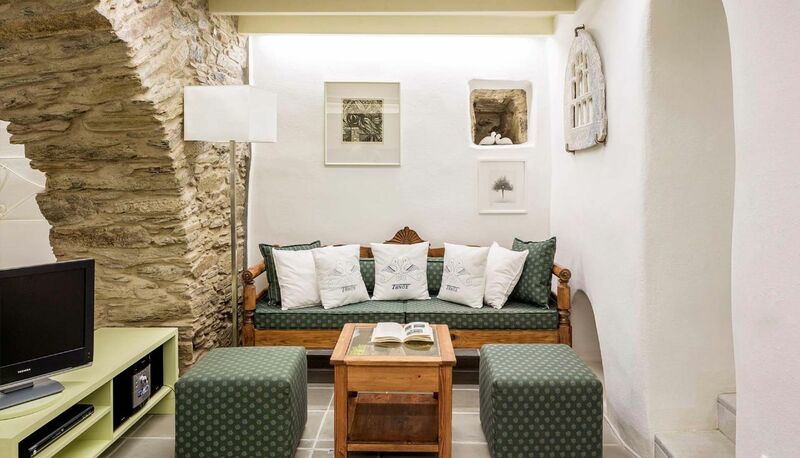 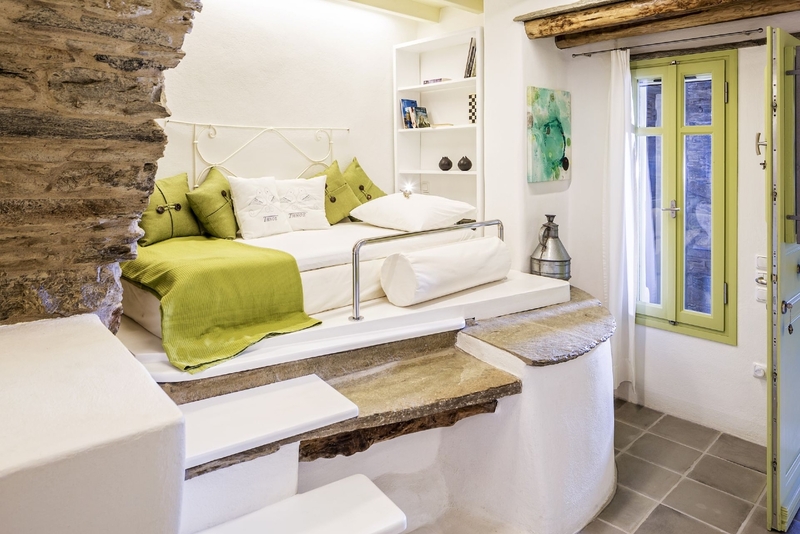 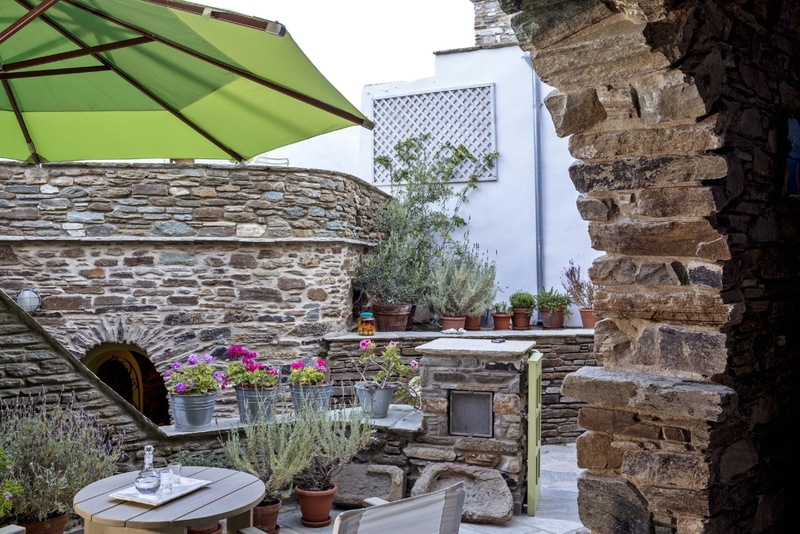 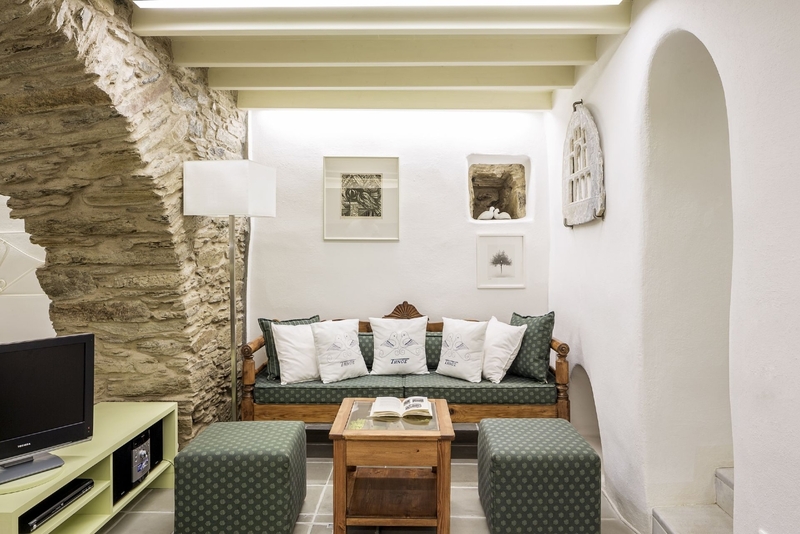 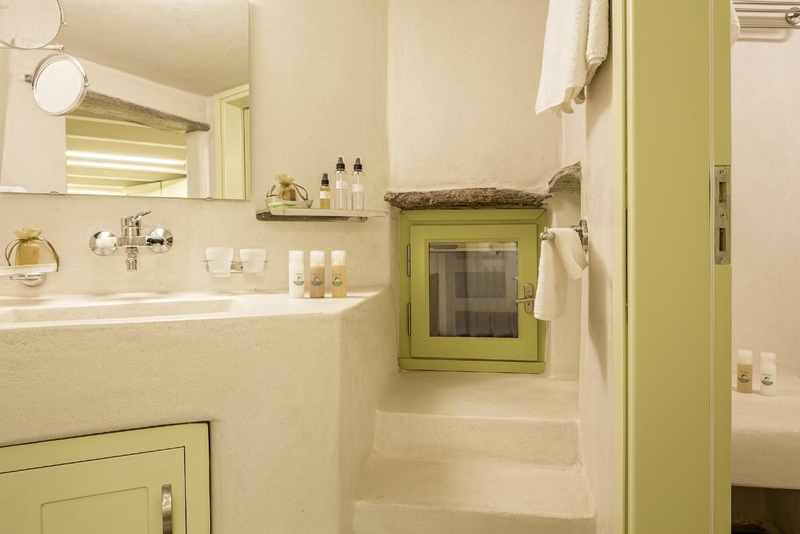 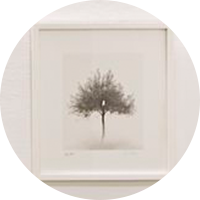 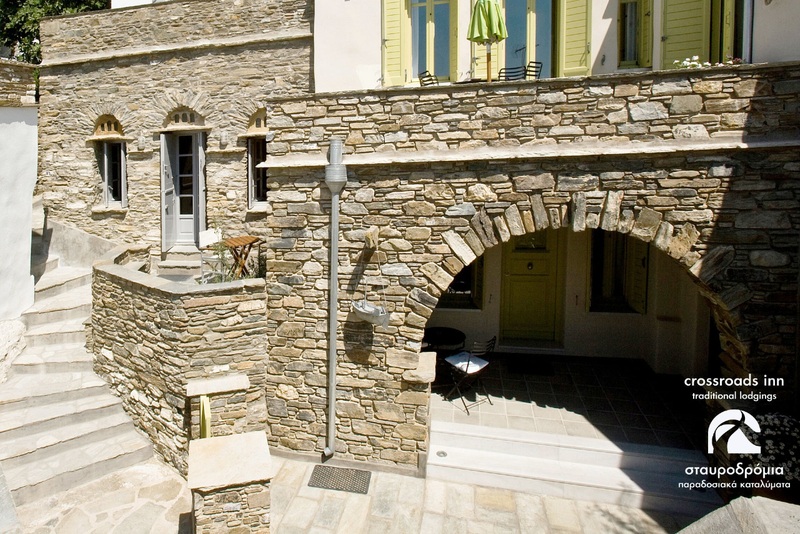 The Grape Press traditional studio becomes complete with a traditional Cycladic inner courtyard that is partly covered (9.5 m2) and partly open-air (18 m2).